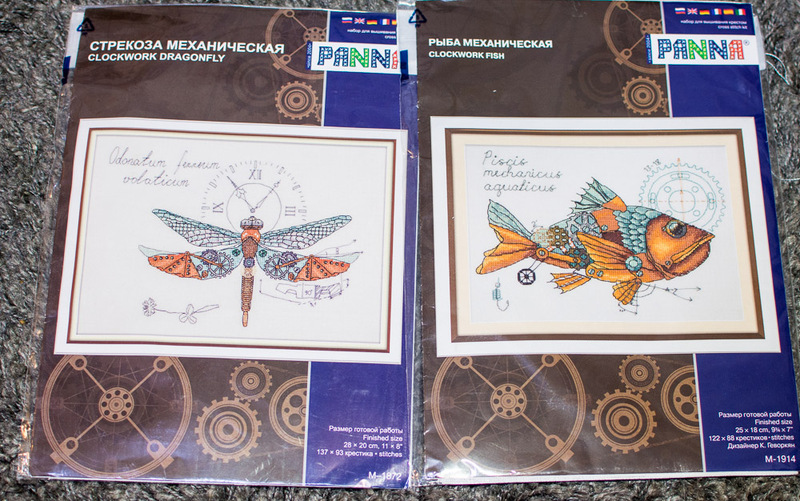 A Russian stitch kit company made these cute kits. I love them! They even have evenweave fabric instead of aida. They're going with me to the US so I can start, and maybe finish, them. Cute! 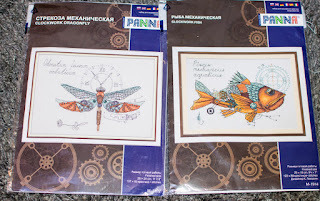 I have a fellow friend and stitcher whose daughter loves Steampunk. She even had a "steampunk" wedding this past year. I will have to show these to her.